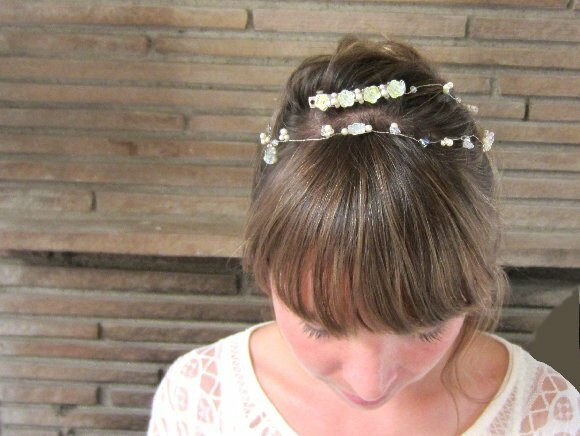 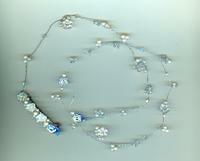 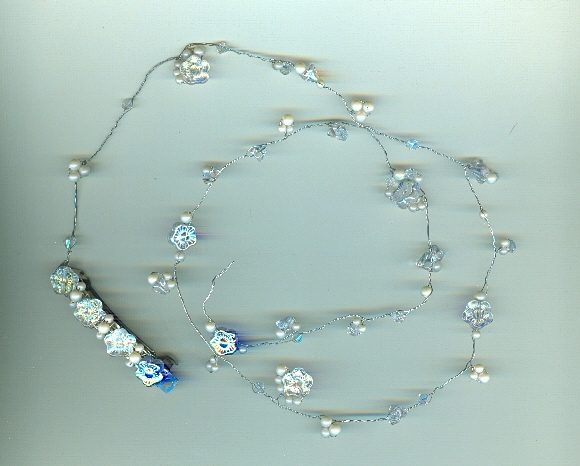 In this most charming of bridal headpieces, glass pearls and flowers are wired to a silver tone barrette. 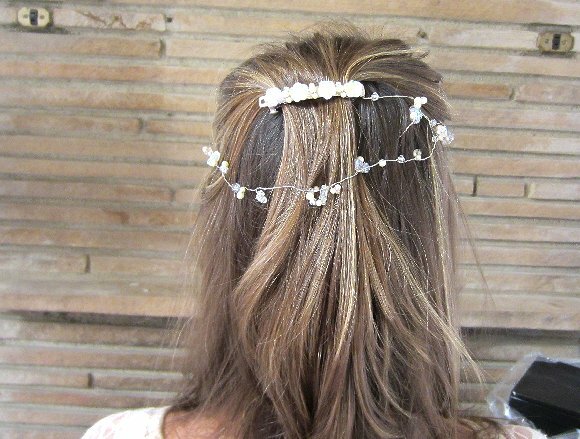 I've added a long wire strand of the same beads, plus a few crystals, to make a bridal headpiece that will work with almost any hairstyle. 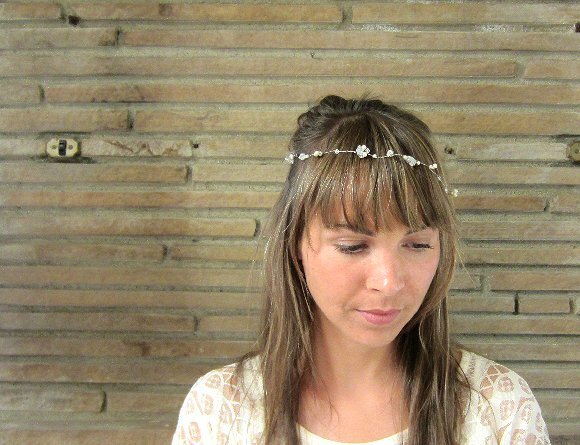 The bridal headpiece makes an up-do look elegant, and long hair look delightfully rustic. 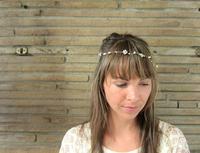 It's another perfectly priced bridal headpiece from SPARKLE PLENTY.